Windows 7 Royale XP Service Pack 3 Full Activation [Tested] - Windows is Windows XPSP 3 with a sense of windows 7. Just a few minutes ago I tried this after the previousOperating System I am using Windows XP SP 3 Original in my favorite notebook one of them. 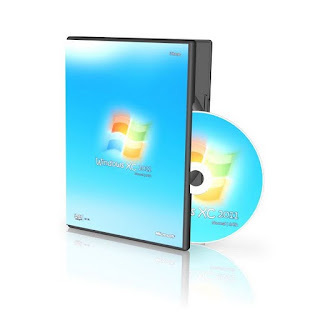 For these windows do not require a serial, crack and all that because automaticallywhen installing the series has been filled, you simply need to click next and next and next. Automatically receive drivers: Yes (SkyDriver v9.9.). d. delete the extension. zip at the back (by default every part has an extension like this, eg:windows xp sp3.rar.001.rar) - to see the rear extension, select the folder options inwindows window, select the view, not the check box that his "hidden extensions for knownfile types"